Cooking vegan has been a fun exploration for me since starting this blog a couple of years ago. I started it as a kitchen experiment, wanting to give myself encouragement to stay on a vegan diet, and share my research with others. What I uncovered was that, unless you are cooking vegan with a focus on right nutrients and health, you can easily make yourself sick. This is true, whether you commit to cooking vegan or not. First off, thank you so much, @MartinStill1, for naming me “Queen of All Things Delicious.” I’m thrilled that others enjoy the recipes I publish as much as I enjoy researching and testing them. And yes, I promise to keep giving more! Yet, I want to express to the world why I also focus on health. Too many ex-vegans out there blame the vegan diet for their health woes. Celebrities like Angelina Jolie who speak out about how a vegan diet “almost killed her” beg to have the question asked, well, exactly what were you stuffing yourself with in the first place? While I do not believe that Dr. Mercola tells the whole story. The vast majority of women I’ve worked with who had a bad experience with veganism in the past simply were not eating enough variety and caloric density to supply their bodies’ needs; they also frequently paired veganism with other drastic and overnight dietary changes (giving up certain food allergens, or going 100% raw). The overall effect was a devastatingly restrictive pattern of eating. I have absolute respect for anyone who has followed a well balanced vegan diet and found it wanting, but I know from experience that many people who try veganism and fail to thrive simply haven’t bothered to modify the lifestyle to suit their own needs. Any new way of eating involves guesswork, patience, and trial and error: you figure out what’s working and what isn’t, and you modify it until you feel great. 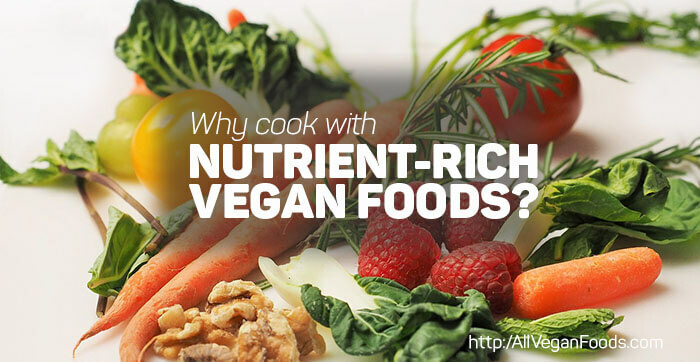 The bottom line is, whether you are cooking vegan, vegetarian or otherwise, know the essential ingredients that keep you in optimum health, so you can continue to support the whys of cooking vegan, in optimal health. And yes, Martin, I promise to live up to the compliment, “Queen of All Things Delicious,” with many more recipes to come! Thanks to all for reading and visiting often!